Ekphrastic poetry: An ekphrastic poem is a vivid description of a scene or, more commonly, a work of art. Through the imaginative act of narrating and reflecting on the “action” of a painting or sculpture, the poet may amplify and expand its meaning. Ronald Hignite has composed the perfect descriptions in words to go with his photography. He hails from North Carolina and has traveled the country to find his thoughts collide. 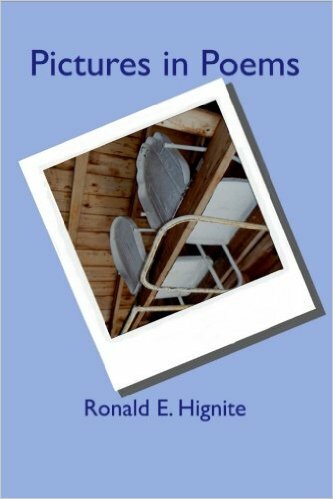 Ronald E. Hignite is a former educator who has published a number of books. After growing up in Connersville, Indiana, he attended East Carolina University in Greenville, NC where he obtained a B.A. Degree and Master’s Degree in Education. 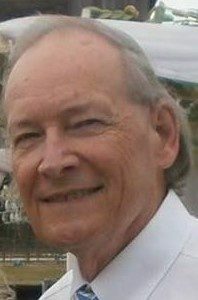 He began writing poetry in the 70’s and published his first book of poetry in 2009. Since that time, he has published to date twelve books which include his first novel, a crime thriller, titled The Devil’s Damsel. In addition to his current book, Pictures in Poems, his books include Reflections of the Soul, Visions of the Mind, The Crooked Road and More, The Beatitudes in Poems, The Ten Commandments in Poems, A Time to Live and a Time to Die, Christ’s Miracles in Poems, The Animal Alphabet, The Animal Alphabet/El Alfabeto Animal and Where Has Gramma Gone? All of his books are available online. He has also recorded four audio books of poetry with Listen and Live Audio, Inc. of Union City, New Jersey. He currently resides with his wife, Diane, in Greenville, NC.